Chalk this one up to being a veteran. With Maxon, I had my requirements: Boppy in lap. Glass of water in front of me. Settled in for a 30-minute feeding. Strict feeding schedule of every 2.5 hours. Out of sight from all but immediate family at home. Felt adventurous if I fed Maxon at a trusted friend’s house. With Cooper, things have turned out a little differently: Boppy used only as a prop after feeding–turns out any old pillow will do the job if you need the leverage. Or a knee. Don’t bother with setting up a full glass of water–Cooper doesn’t hang around that long. Feedings are on demand, although I can’t say this is an improvement on convenience but it has filled out his cheeks nicely. I have breastfed at the kitchen table, while bathing Maxon, at various parks in front of everyone and their dad (and granddad), answered the front door, and at a pizza joint during a March Madness game. I’m sure there are more but I’m tired of typing one-handed. TMI? On Friday morning, Maxon told Daddy that there were turtles in his crib. Going with it, Mike asked if they should look for turtles outside the window. As it turned out, Maxon recalled his first dream and they happened to be of turtles. At first we thought that this was a pretty cool development but come bedtime Friday night, Maxon’s memory of his dream became a source of anxiety. All of a sudden, he wanted nothing to do with his crib or his room because there were turtles there. Mike took the opportunity to offer up Maxon’s new bedroom as an alternative but since we were still waiting for the rest of Maxon’s daybed to be delivered and we originally intended on moving his crib into the new room as part of the bedroom transition, all that was in there was our old queen-size bed from when we needed an extra guest room for Lola last week. Maxon seemed to be on board with sleeping in his new room… until it was time for Daddy to leave the room. Tears ensued. I then took over and brought Maxon back to his old room and tried to restart the night-night routine with a bedtime story but once it was get-in-the-crib time, the tears started again. Mike tagged in and brought Maxon back to the new room and laid with him until he settled down. 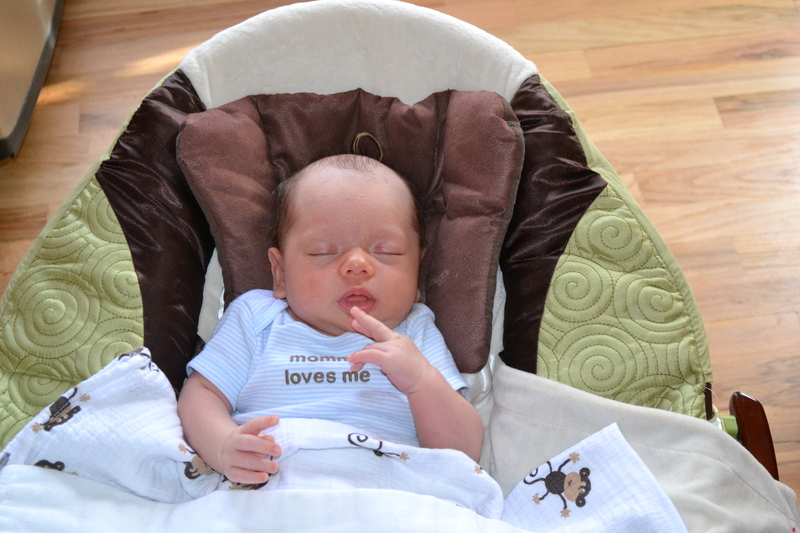 It took until nearly 11pm before Maxon fell asleep but he did so quietly and stayed that way until roughly 7am. On Saturday morning, the rest of Maxon’s bed was delivered and set up and Maxon immediately claimed it as his and went to work jumping on it. That day’s nap went without a hitch and no drama and the little guy slept for 2.5 hours until we were forced to wake him up for our dinner playdate! 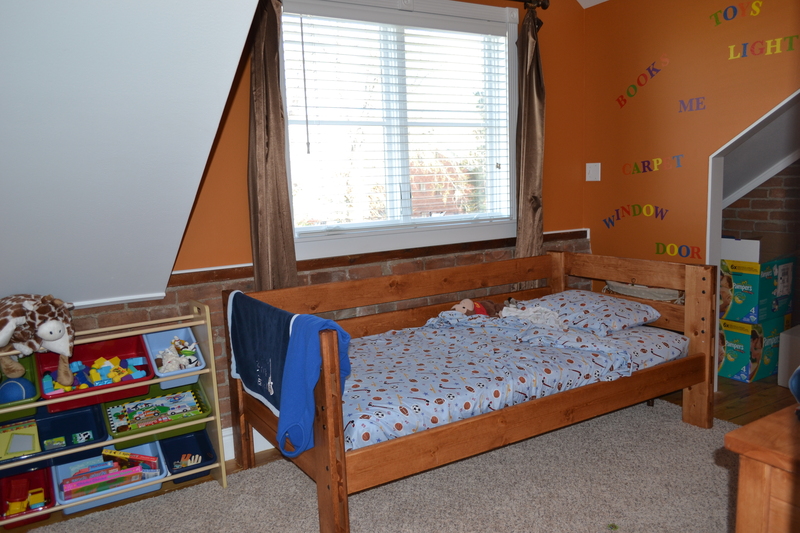 It is Monday now and Maxon has not yet looked back at his “old room” and crib… but we’ll see how that goes when he realizes Cooper is taking over the old digs.